Encounter the highlights and hidden gems of Western Europe on this fast-paced tour. Enjoy free days in renowned cities like Paris and Lucerne. Discover the allure of the Champagne region and the mystical Black Forest. Gaze in awe at the Rhein Falls in Switzerland and the Leaning Tower of Pisa. Amble along the road less traveled and walk the shores of Lake Titisee. Along the way, your tour leader will introduce you to locals and hand-selected destinations that epitomise each region. An immersive tour that's tailor-made for foodies & history buffs. 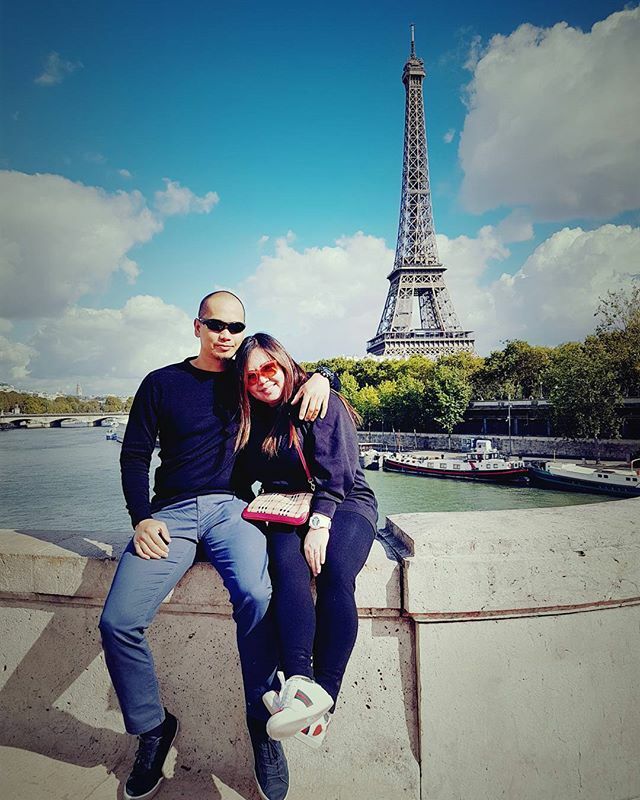 exploring the iconic sights of Paris, the Rhine Falls (Europe's largest waterfall), see the Leaning Tower of Pisa and many more! Meet your Expat Explore tour leader at the starting hotel. This afternoon, we’ll head out to the Royal Borough of Greenwich. As part of the UNESCO World Heritage Site it’s a must-see with many historical buildings and gardens. Your tour leader will walk you through Greenwich park to a traditional British pub where we’ll enjoy an included welcome dinner. We’ll then wander through the historic Greenwich docklands, past the Old Royal Naval College and the famous Cutty Sark ship. After a short boat ride past the financial district’s skyscrapers, we’ll jump aboard the Emirates Air Line, a cable car across the river Thames which offers panoramic views of the east London skyline. Enjoy an orientation tour of this historic area in the Royal Borough. Greenwich is world famous as the location of the Prime Meridian, where the designation GMT began, and on which all world times are based. It also has historic links with the British Royal Family going back to the 15th century when King Henry VIII was born there. Your tour leader will introduce you to some of the highlights, including the Old Royal Naval College, Royal Observatory, Queen's House and the Cutty Sark tea clipper sailing ship. Tonight we will enjoy an included dinner at a historic local pub, where you can try typical British dishes like fish & chips, bangers and mash (sausages & mashed potato) or a seasonal vegetarian dish. Take a short journey along the longest river in England on a Thames Clipper boat, from Cutty Sark to North Greenwich, where you will join the Emirates Air Line cable car. Take an included ride on the Emirates Air Line cable car across the River Thames. You’ll enjoy spectacular views of the Canary Wharf financial district, The O2/Millennium Dome, Thames Barrier, Queen Elizabeth Olympic Park and the Greenwich Peninsula, and distant views of the Shard and City of London. Departing London, you will cross the English Channel and travel on to 'The City of Lights and Love' - Paris! 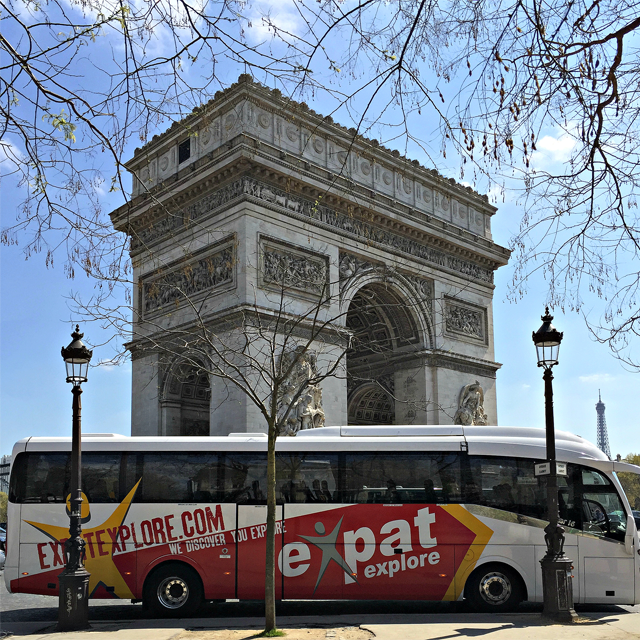 Your experienced tour leader will introduce you to all the key Parisian sites on a relaxing coach tour of the city. 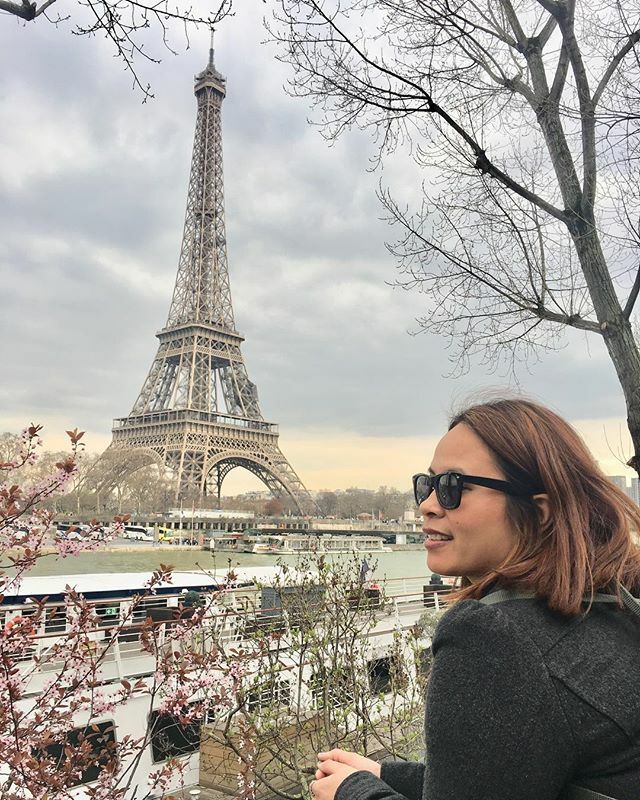 Keep an eye out for such iconic landmarks as the Eiffel Tower, The Louvre and Notre Dame - take a mental note of what you wish to explore more further on your free day. This evening we'll enjoy dinner at a restaurant in the Latin Quarter, an eclectic, bohemian and historic neighbourhood. We'll then travel back to the hotel on Paris' world famous metro system, ready to explore the city further on our free day tomorrow! 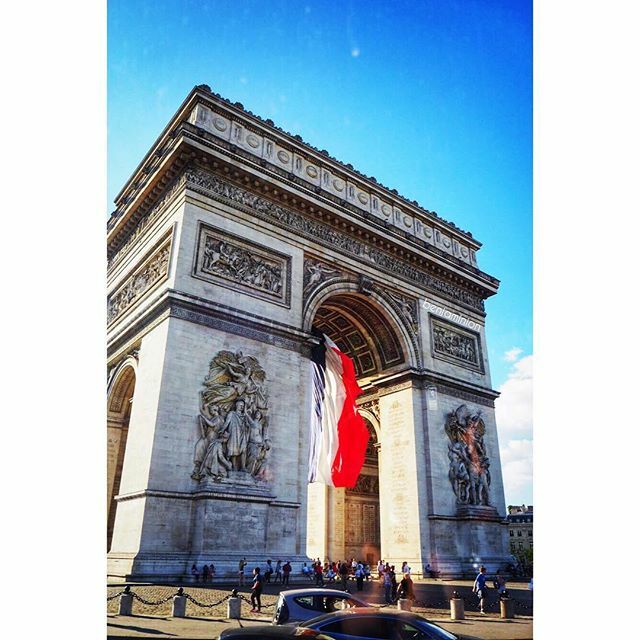 Enjoy a full free day to explore the French capital to your heart’s content! The Seine River is the backbone of the capital, and flows through the heart of the city. Why not choose a cruise, and sail past the grandeur of the gothic Notre Dame cathedral, to the epic Eiffel Tower? Paris Disneyland is perfect for the ‘young at heart’, and is only a short distance away. 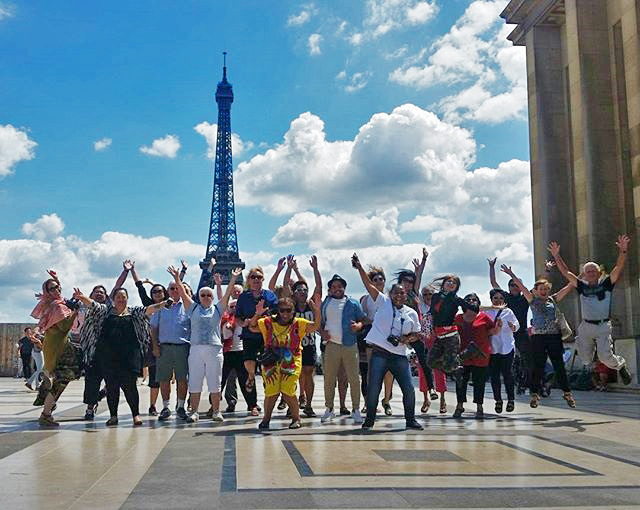 Your Expat Explore tour leader is brimming with ideas and local knowledge, so that you can get the best out of your time here. This morning we’ll depart Paris and head east to our first stop in the champagne region, where we’ll enjoy a tasting of one of France’s most famous and highly prized exports - champagne! We’ll then continue our journey on to Luxembourg, where you’ll have some free time to explore the capital of one of Europe’s smallest countries; Luxembourg City features a charming Unesco-listed centre with plenty of restuarants and cafés. Our final destination of the day is Heidelberg, Germany’s oldest university town which is renowned for its Altstadt (old town), ruined Renaissance hilltop castle and romantic riverside cityscape. 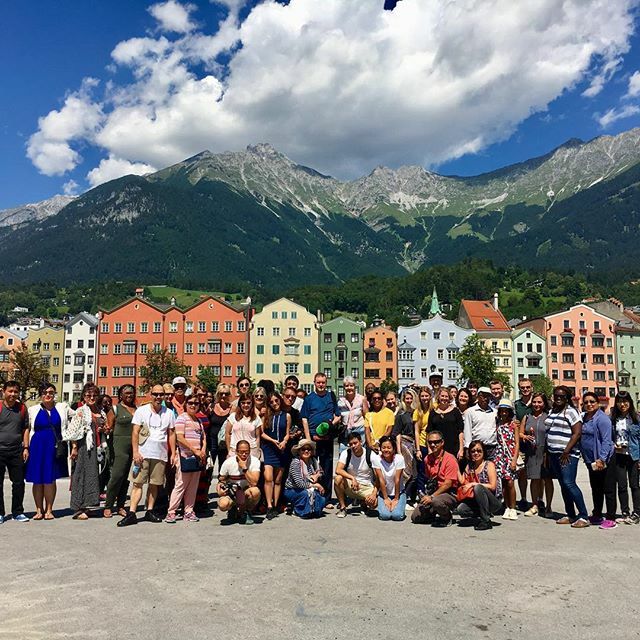 Your tour leader will take you on an orientation tour of the city centre and give you some free time to explore the old town, before we meet back up for dinner. Enjoy a champagne tasting in the champagne region of France. Take a short stop in Luxembourg City, with some free time to spend as you wish. You may wish to view the spectacular Renaissance architecture of the Grand Ducal Palace or have an early lunch in Luxembourg’s central square, Place d’Armes, with its numerous cafes and restaurants. Luxembourg also offers excellent shopping opportunities from modern high-end fashion stores to traditional boutiques. Overnight in Heidelberg, a university town with a beautiful Baroque old town and vibrant nightlife. Explore the old town and enjoy an included dinner. This morning we head into the heart of Germany’s Schwarzwald (Black Forest), home of delicious Black Forest gâteau, cuckoo clocks and Hansel and Gretel! For those travellers wishing to buy an authentic German cuckoo clock, we’ll make a quick stop at a local family business in the heart of the forest. Arriving on the shores of Lake Titisee, you’ll have some free time to explore the spa town of Titisee and grab some lunch. We’ll then cross into Switzerland and stop off at the stunning Rhine Falls, the largest plain waterfall in Europe. You’ll have some time to explore, with the option to take a boat ride on the falls. On arrival in Lucerne your tour leader will give you a quick orientation tour to introduce you to the city, before we travel on to our accommodation. Stop off at a family owned cuckoo clock centre in the heart of the Black Forest, the perfect opportunity to pick up a souvenir and shop for Swiss and German brands like Swarovski, Victorinox and Goebel, and have a cup of coffee with a slice of Black Forest gâteau cake. Enjoy some free time to explore the historic centre of the Titisee spa town on the shore of Lake Titisee, and grab some lunch from one of the many cafés and restaurants. 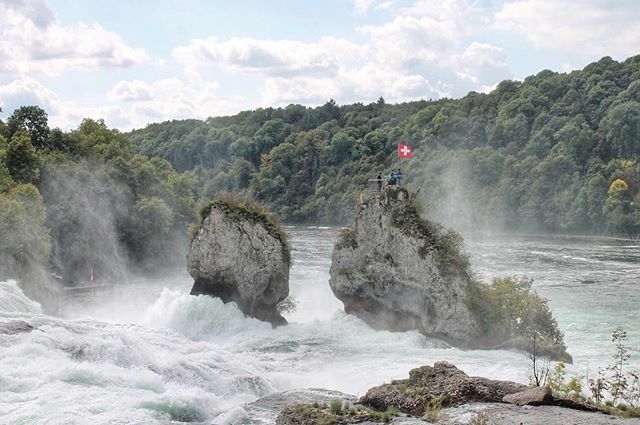 Enjoy some free time to experience the dramatic Rhine Falls in northern Switzerland and take in views of Wörth Castle. An optional boat ride is offered which will take you into the falls and allow you to climb onto Rheinfallfelsen, the large rock at its heart. 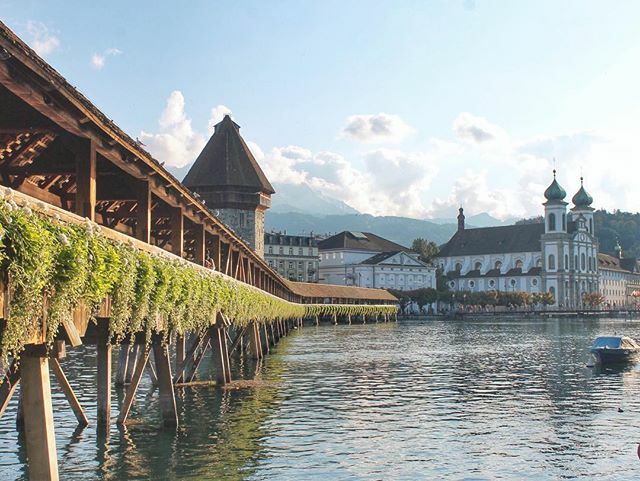 Your tour leader will walk you through the centre of Lucerne and point out some of the highlights you can explore further on your free day tomorrow, such as the Lion Monument, Church of St Leodegar and the famous Chapel Bridge. 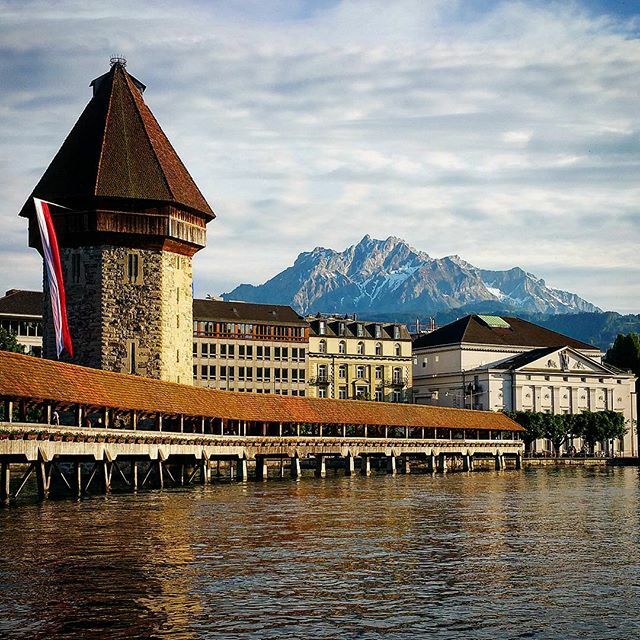 Today you’ll have a free day to enjoy the Lucerne region. Renowned as one of Switzerland's most beautiful cities, Lucerne is one place you'll definitely want to have your camera at the ready for! 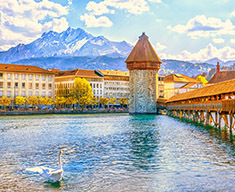 All the ingredients for the quintessentially picturesque Swiss experience are here - a cobalt lake and well-preserved old-town complete with waterfront promenades, covered bridges and perfect plazas is surrounded by the natural skyscrapers of the Swiss Alps. It's really no wonder that Goethe, Queen Victoria and Wagner savoured the stunning views that Lucerne has to offer. There's charm and grace around every corner, but it's not all about history - there's certainly enough of a pulse here to keep things current, with carnivals, concerts and exhibitions aplenty. Four countries in one day! Our first stop is the Alpine principality of Liechtenstein, the sixth-smallest nation in the world. Stopping in the capital Vaduz, we'll have some time to stroll around and enjoy the scenery. 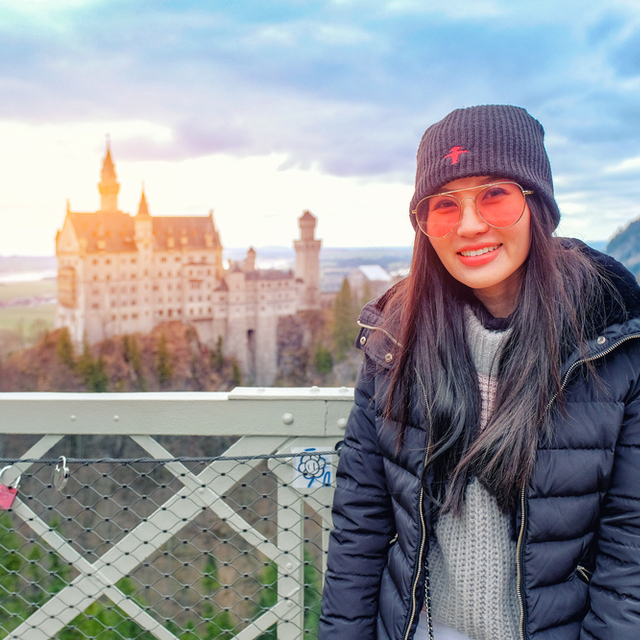 We’ll then visit Neuschwanstein Castle, a 19th Century German hilltop castle built by Ludwig II of Bavaria, and the inspiration for the famous Disneyland castle. Entrance to the castle is included in the tour package price. 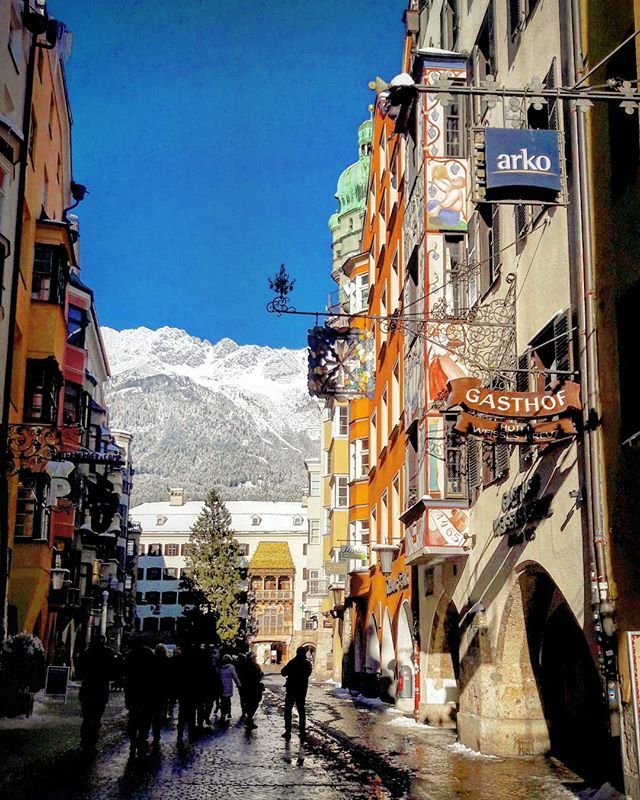 Our final destination of the day is Innsbruck, Austria. Home to Austria's third-largest student population, there's no shortage of vibrant bars and beer gardens to enjoy. Stop off in Vaduz, the capital of Liechtenstein. This tiny country may only be the size of Manhattan, but it's skyscrapers of a different kind that dominate the skyline! 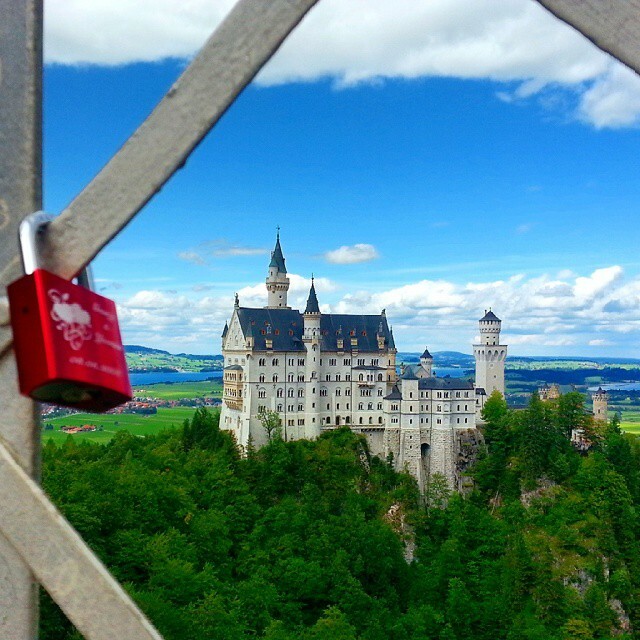 You'll enter the incredible Neuschwanstein Castle interior and enjoy a tour of this magical structure! This incredible castle looks like it's straight out of a fairy tale - which incidentally isn't far from the truth: Neuschwanstein Castle served as the inspiration for the famous Disneyland castle. We then travel to Innsbruck where you have some free time this evening. This is where the modern urban environment meets the natural outdoors. Don't miss the opportunity to visit the town square and its famous Goldenes Dachl (Golden Roof). This morning we head south into Italy. One of the most visited destinations in the world, Italy serves up centuries of incredible history, rich culture and, of course, fantastic food! As we make our way to Siena we'll stop in Modena, where you'll enjoy a tasting of balsamic vinegar. 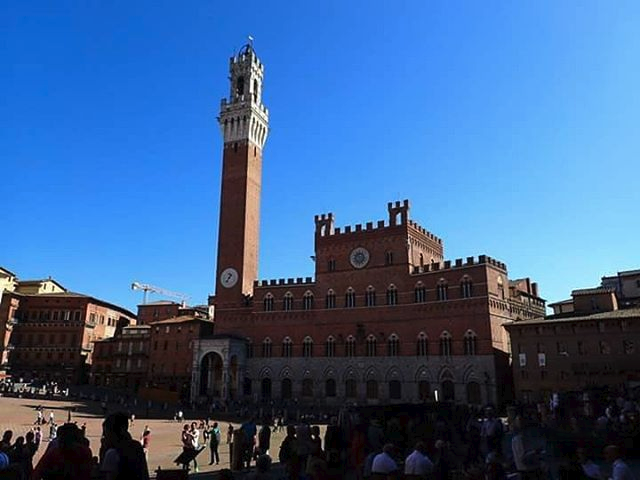 Arriving in Siena this afternoon, your tour leader will take you on a short orientation tour of the historic city centre, and you'll then have some free time to take photos and explore. Enjoy a taste of traditional balsamic vinegar in Modena, which has been produced in Modena and Reggio Emilia since the 11th century. 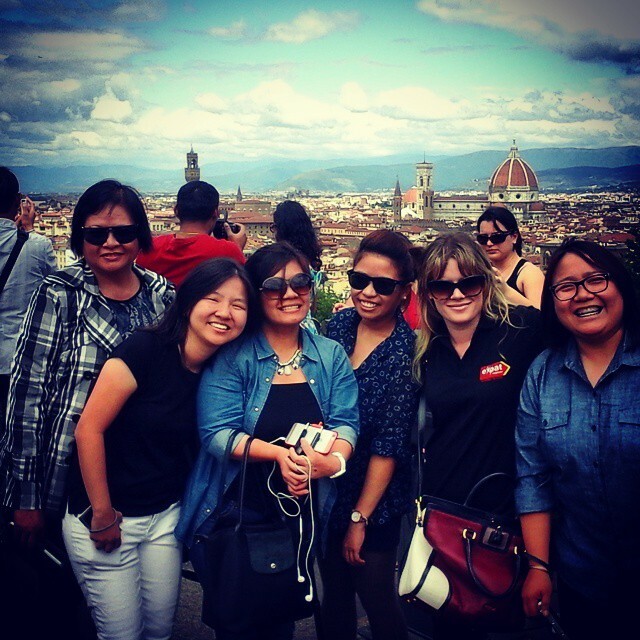 Visit and explore two of the the undoubted highlights of the Tuscan region: Pisa and Florence! 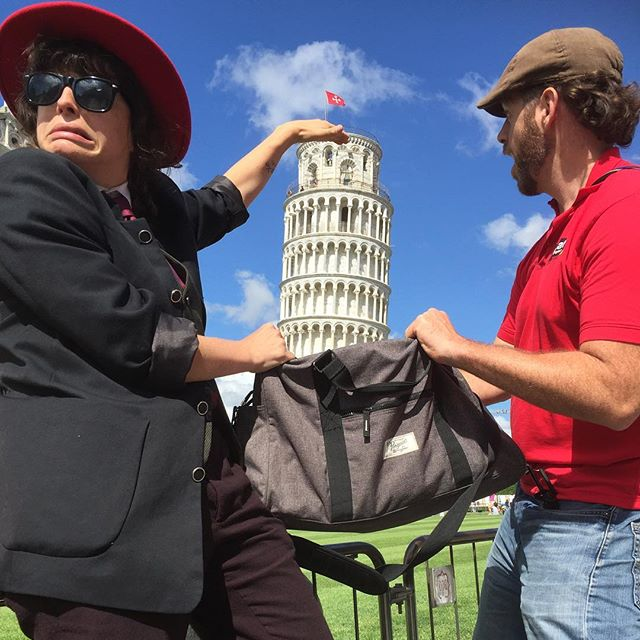 The Leaning Tower of Pisa is the first stop. It’s a classic sight in Italy that is more than 800 years old. Take a moment to explore the grounds and get that essential travel selfie with the tower. 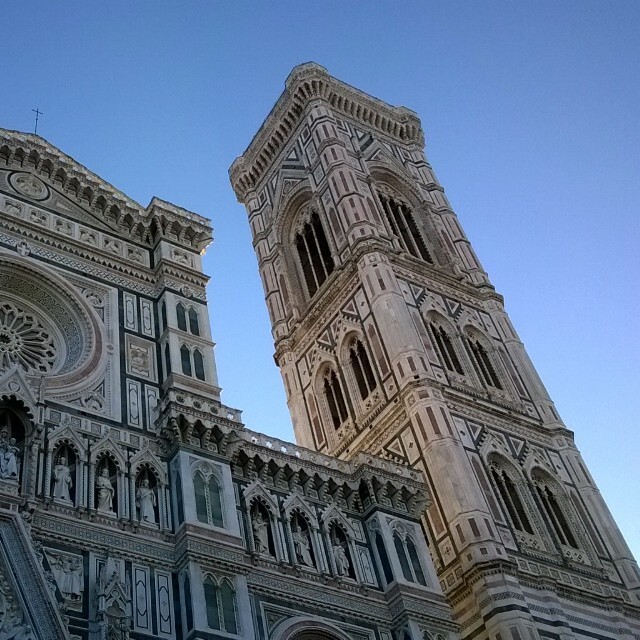 Afterwards, travel through the countryside to Florence, capital of this region. Take an orientation walking tour of the city to explore its many iconic sights. These include the Cathedral of Santa Maria del Fiore, Ponte Vecchio, Piazza della Signoria and the replica of the the statue of David. Then head to a genuine Italian leather factory and shop. Italian leather brands have dominated the fashion world for centuries and the quality of handmade leatherware in Tuscany is something to behold. Spend some time over lunch exploring the city at your leisure before returning to Siena. 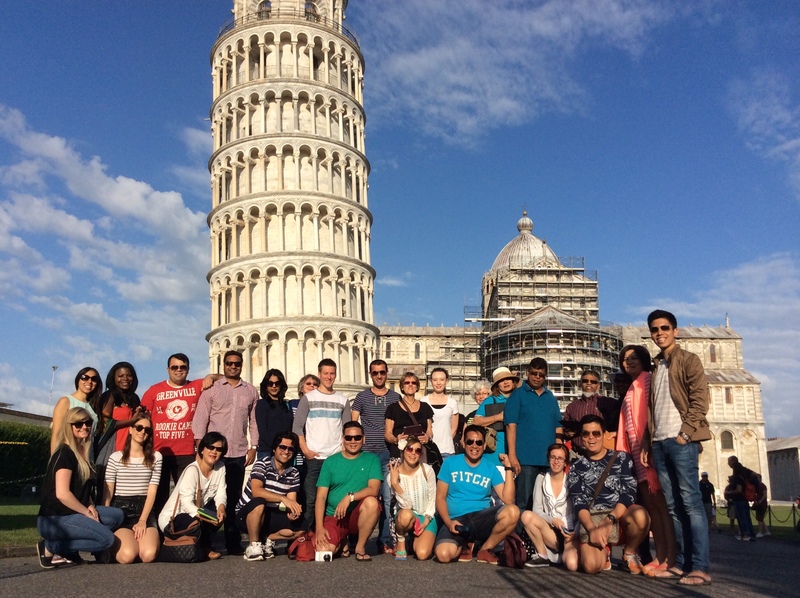 Explore the site of the famous leaning tower of Pisa - a true classic and a must-see on any tour visiting Italy. Your tour today finishes upon arrival in Rome; make sure that you have swapped numbers with your fellow travellers, before you part ways! This tour includes no Rome hotel accommodation and forms the first half of the full-length Best of Europe 22-day tour, which starts and finishes in London - click here to see the full tour. There is an optional post-tour add-on to extend the Best of Western Europe tour with a 2-night post-tour stay in Rome - please see the 'Optional Excursions' tab in our Help Section for more information. By this point you will have enjoyed 10 incredible days exploring the very best of Europe! There is an optional add-on to extend your Best of Western Europe tour with a 2-night stay in Rome - please see the 'Optional Excursions' tab in our Help Section for more information. Enjoy stunning views of Lake Lucerne and the surrounding mountains and villages on a modern and stylish cruise ship. Enjoy a 20 minute boat ride to see the Rhine Falls up close. Whether you take the world's steepest cogwheel railway from Alpnachstad or the panorama gondolas and aerial cableway from Kriens, the Pilatus offers a unique alpine experience! From Alpnachstad to Pilatus Kulm, the world's steepest cogwheel railway winds up through lush meadows carpeted with Alpine flowers, past sparkling mountain streams and fascinating rock faces. Please Note: This sales price comprises ticket for Mount Pilatus plus Compulsory Public Transport Card. Enjoy an evening of folk performances, with authentic Tyrolean music, folk dances and “shoe-slapping”, as well as typical Tyrolean songs and “yodelling”. You will also enjoy a dinner of authentic Austrian cuisine, with options including Tyrolean soup, pork escalope prepared in the Viennese style, Tyrolean Cheese Spaetzle (vegetarian option) and apple strudel. Includes the traditional Austrian performance, a three-course dinner, one drink and return transportation from the hotel. Of Italy's 20 regions, it is the food of Tuscany that millions of people every year come to try. 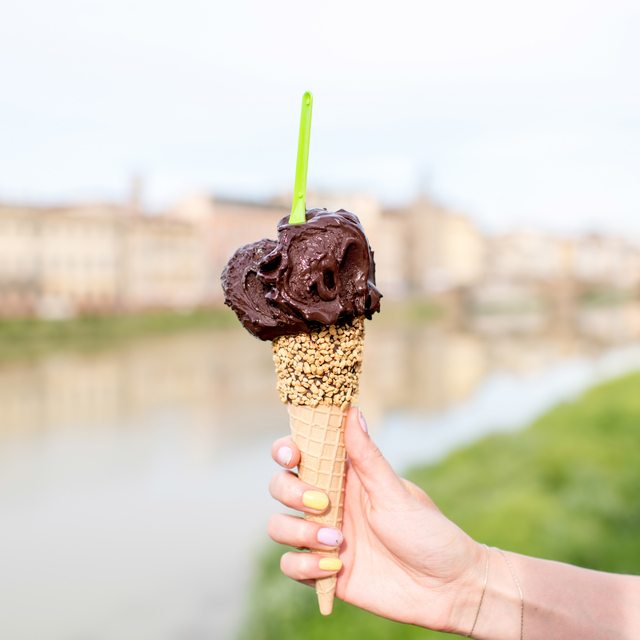 Join this incredible culinary experience in Florence to taste it for yourself. You'll have the chance to try some special local culinary traditions, being served a sit down meal served family-style including Bistecca alla Fiorentina (charcoal grilled steak served on the bone), Tagliatelle al Tartufo (pasta with truffle), Risotto ai Porcini (risotto with porcini mushrooms), Crostini al Pomodoro (crusty bread with tomatoes and olive oil) and a glass of Chainti red wine. To round off a lovely meal we'll enjoy a traditional Tuscan after-dinner digestivo. Day 10 - Our local Roman tour guide will introduce you to the city and its many historic sights, including the Spanish Steps, Pantheon, Piazza Navona, Roman Forum and the Colosseum. This afternoon you’ll then enjoy an included visit to the Vatican City - the smallest country in the world! You’ll jump the queues and be taken round by an expert guide, and once inside the walls you can explore St Peter’s Basilica and see Michelangelo’s artwork in the Sistine Chapel. Dinner is included this evening. Day 11 - Enjoy a free day to explore Rome at your leisure, or join an optional excursion to the Colosseum and Roman Forum accompanied by a local guide. Day 12 - The Rome add-on finishes after breakfast. Your tour starts in London and finishes in Rome. Please have a look at our essential tour information page for detailed information.